Trailer of the episode 4 of Ashlee+Evan & New interview for Vogue Italia! Hello everyone! Here is a new trailer of the fourth episode of ‘Ashlee+Evan‘. Plus, you will find a new interview of Ashlee and Evan for Vogue Italia. They sang their song ‘I Do’. New pictures from Ashlee and Evan’s Milan trip! Hello! Ashlee Simpson Ross and Evan Ross are in Milan for the Fashion Week and they posted many new pictures from their trip. They all are so beautiful. You will also find on the gallery 3 pictures of Ashlee and Evan’s appearance at the Fashion Week’s shows. 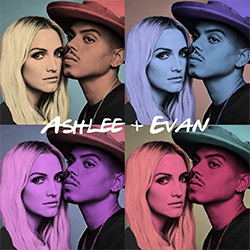 Plus, there is a new sneak peek of the episode 3 of ‘Ashlee+Evan‘ which airs tonight on E! at 10/9c. Ashlee and Evan on Larry King Now & New Sneak Peek of ‘Ashlee+Evan’ + New video of Ashlee & Evan! Hello everyone! Few days ago, Ashlee and Evan were the guests of the show ‘Larry King Now‘ and we finally have the videos of their interview. We also have a new sneak peek from the next episode of ‘Ashlee+Evan‘. I think this new episode will be very moving. Plus, there is a new video of Ashlee and Evan talking about their meeting and a video with a preview of a new song of Ashlee and Evan. Hello everyone! Yesterday (September 20), Ashlee Simpson Ross and Evan Ross were in Milan for the Fashion Week. We have gorgeous pictures from the event posted by Ashlee and Evan. Plus, their new song is out since midnight, it’s called ‘Safe Zone‘ and this song is wonderful (listen it here). This is my favorite for now, so good!! Finally, here are new sneak peeks from the next episode of ‘Ashlee+Evan‘ and a video from the second episode. Next on Ashlee and Evan (Episode 3) + New video from Decider + New Interview! Hello! Today, we have a new sneak peek of ‘Ashlee+Evan‘. There is a new video of our favorite couple for Decider. Ashlee and Evan answered to some questions for NBC Universal, they look adorable!